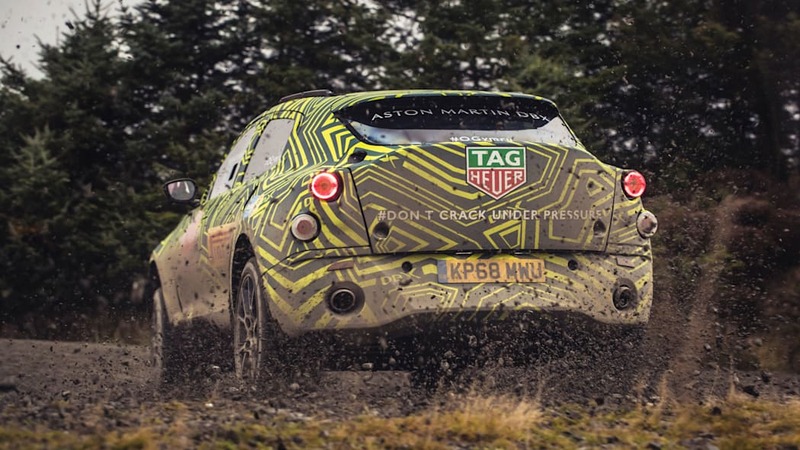 Aston shows us photos of its SUV testing in the mud. It's official. 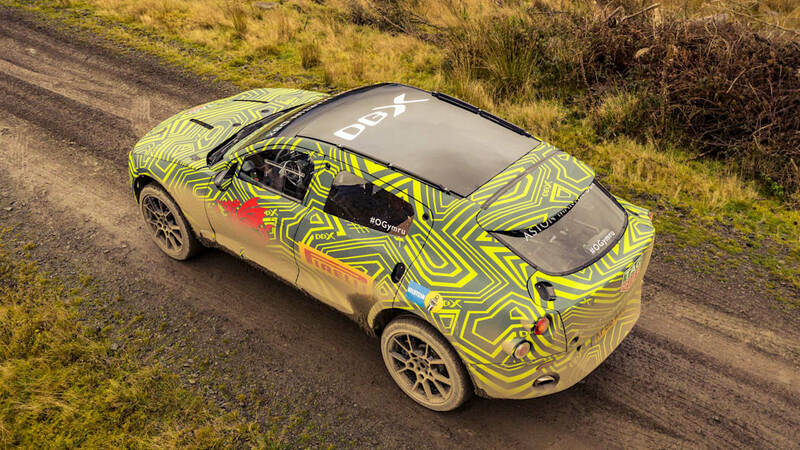 The Aston Martin DBX SUV is named and it's on its way, folks. 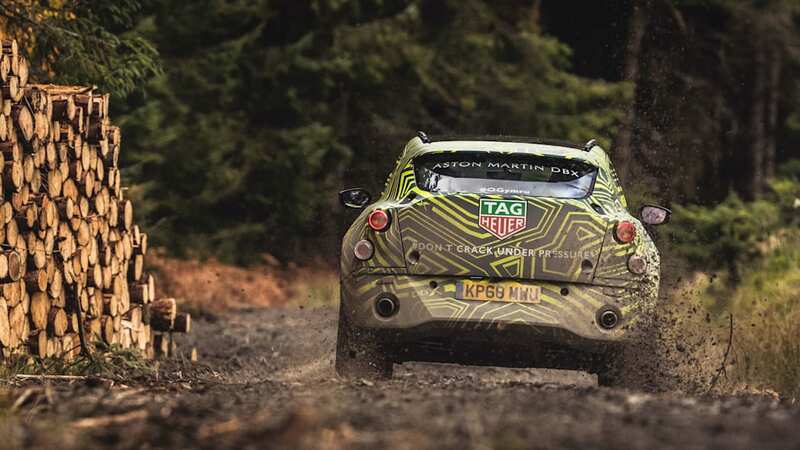 Oh, and Aston really wants you to know it can drive on dirt. Every official photo we have of the thing shows it doing something off the pavement. 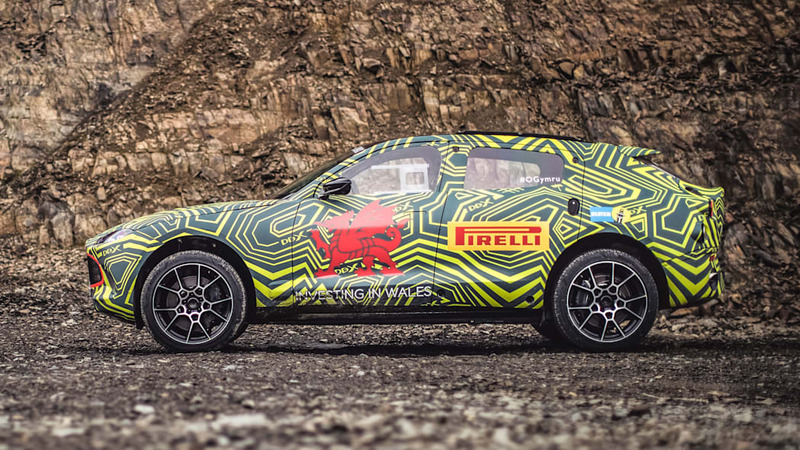 In other definite news on the SUV, it will be revealed in the last quarter of 2019 and be built at Aston Martin's new St. Athan factory in the U.K. Everything else about the tall Aston will remain a mystery for now. But we finally have a decent look at what's coming. 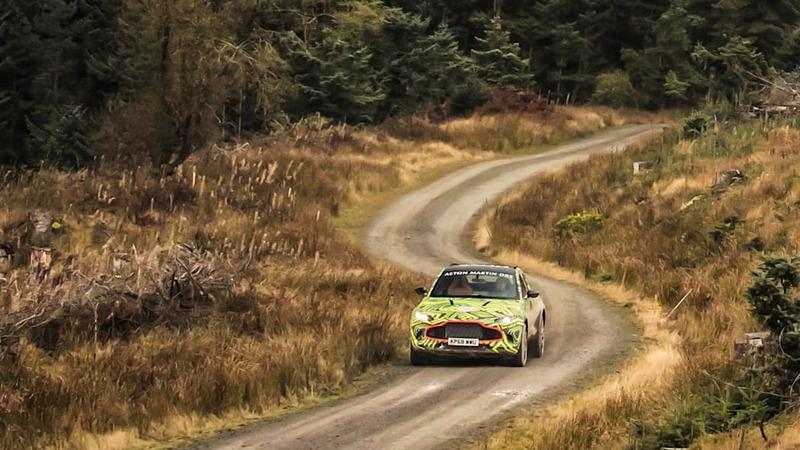 The most obvious feature is the V8 Vantage-style grille. 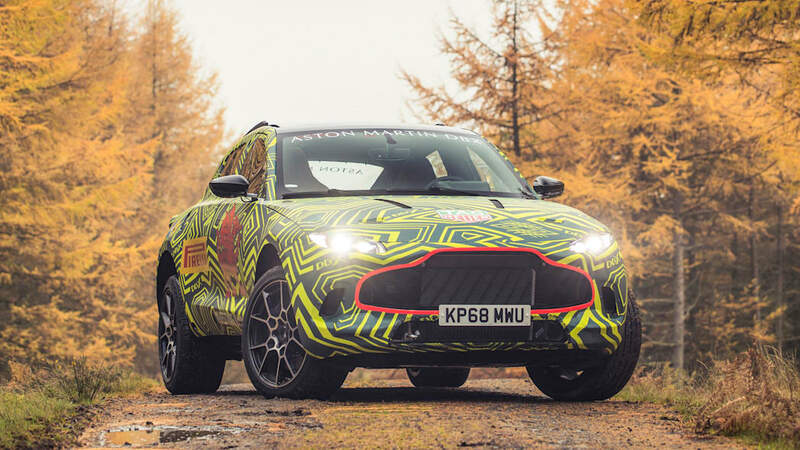 It's the most outlandish and distinguishing styling element on the Vantage, but we're not so sure about it on the DBX. 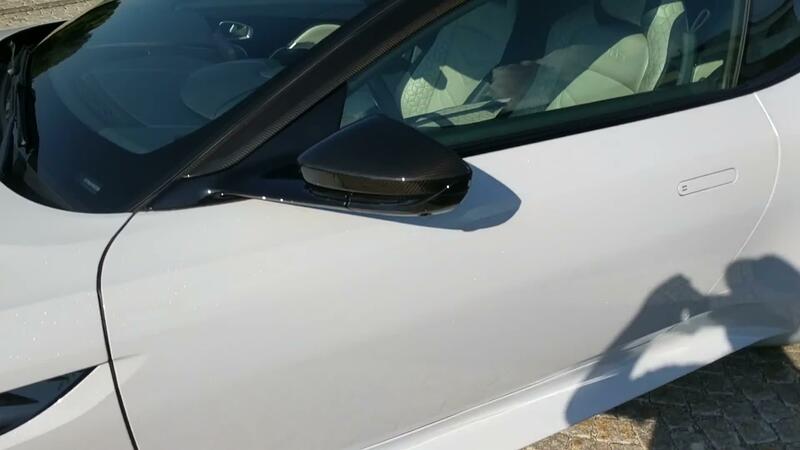 There's plenty that looks unfinished behind the fake grille-looking piece, so we wouldn't be prepared to say that the design is what we'll see on the production SUV quite yet. 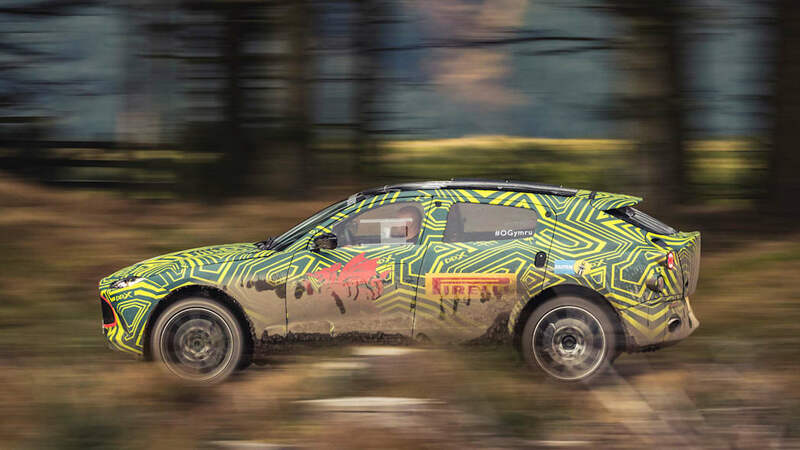 It looks like standard, boring SUV fare down the sides, but then it gets funky in the rear. 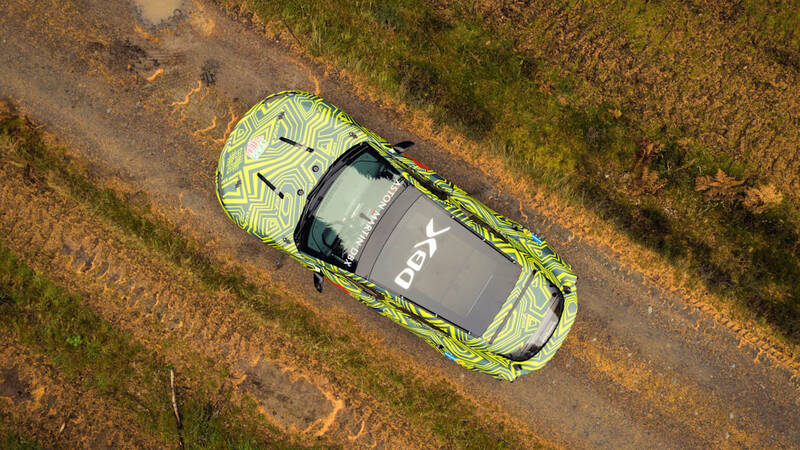 To our eyes, it looks like there are two spoilers back there — one extending from the roof, then another ducktail-looking thing coming out of the hatch. 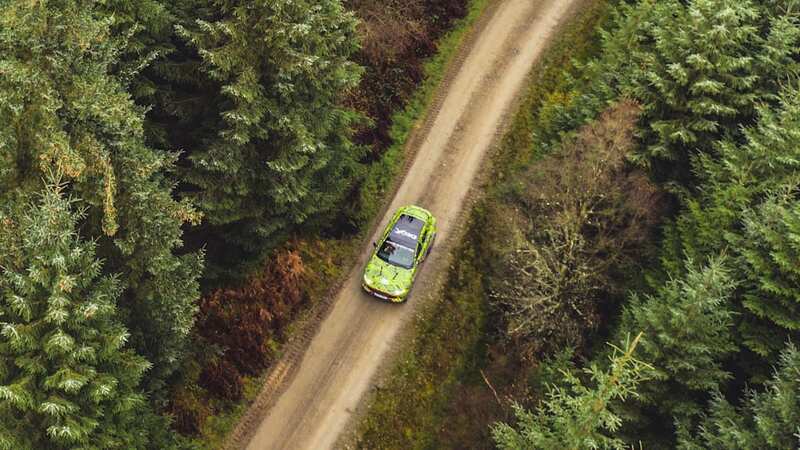 Once again, the design doesn't strike us as fully-baked yet, so it's tough to say what the rear end is going to end up like. The little exhaust outlets poking out of the bumper are pretty cool, though. 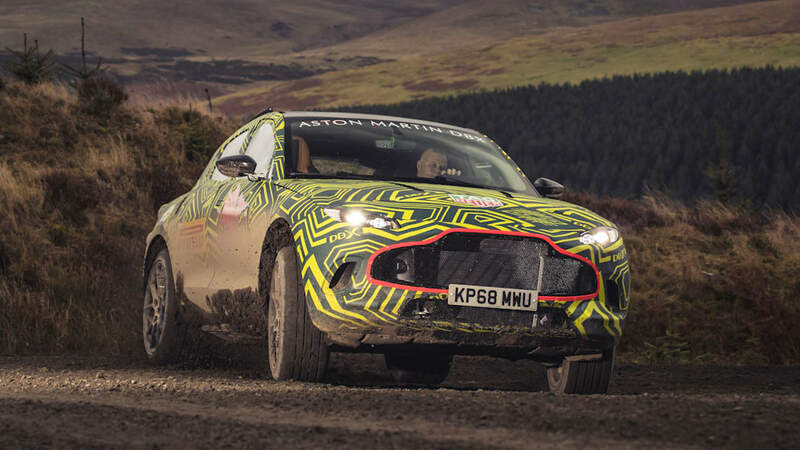 This prototype pictured is being put through a Welsh rally stage for testing purposes, one of many different environments in which Aston says it wants the DBX to excel. 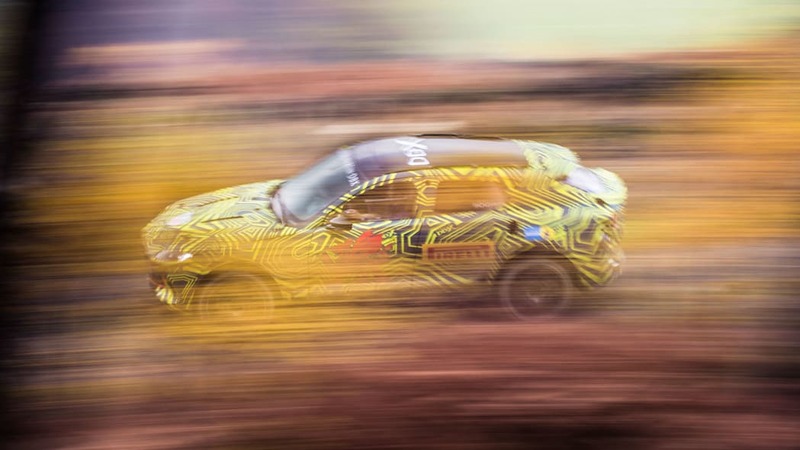 The other notable spot is the Nurburgring, but we'd expect an Aston Martin SUV to handle well. 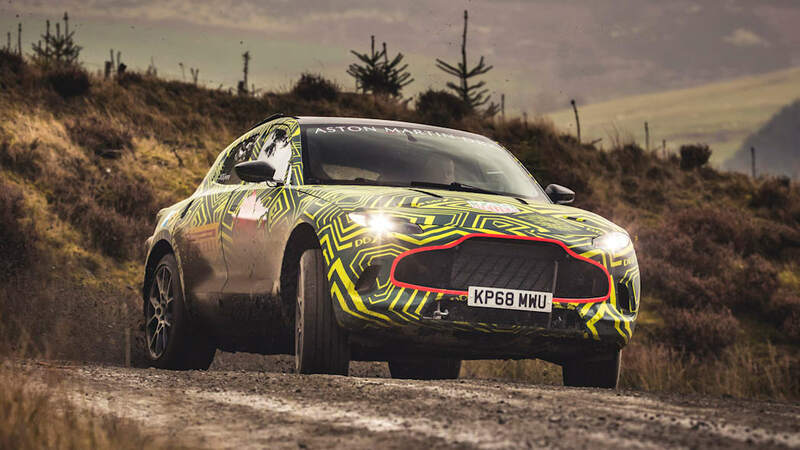 We don't think an electrified version is coming right away, but Aston is building it in the same factory it says will be the brand's "Home of Electrification." 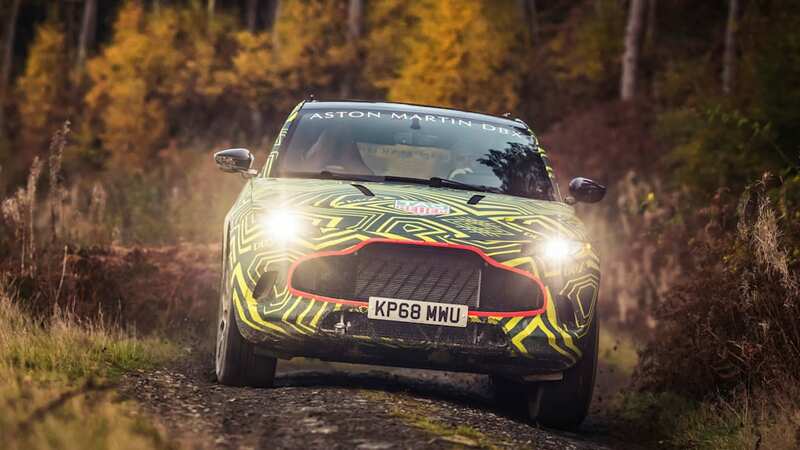 It's safe to assume a hybrid or fully-electric vehicle from Aston will be coming when we get to the next decade, especially with the way Aston is talking.